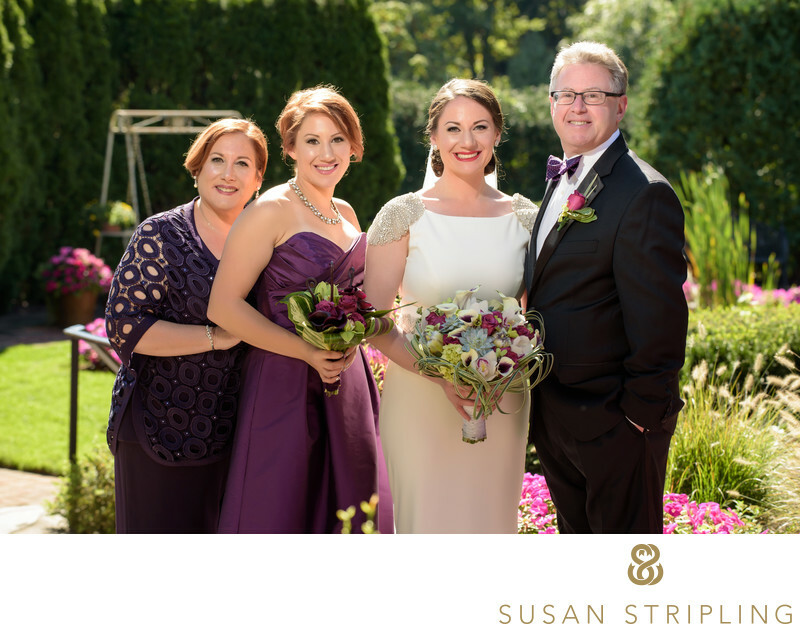 The importance of family portraits is discussed at every wedding that I photograph. I have taken family portraits since beginning my business back in 2002. 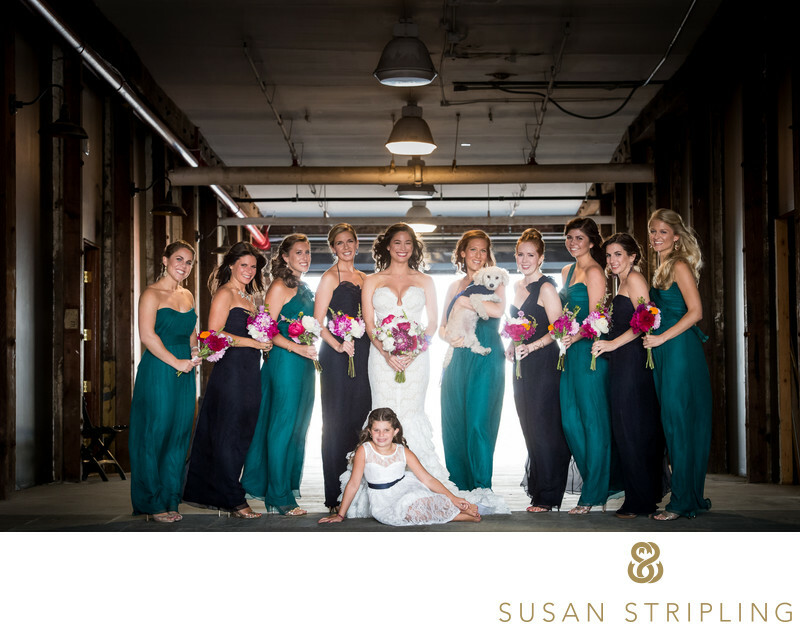 It is one of the highest honors as a wedding photographer, and a very important part of the wedding day. If you take a look through popular wedding blogs, any wedding magazine in a bookstore, or through many wedding photographers' Instagram feeds, you'll see lots of pretty events. You'll be able to look through sweet photographs of engagement rings, beautifully styled wedding bands surrounded by flowers and spools of ribbon, and photograph after photograph of wedding couples strolling through sun-drenched fields. While these beautiful images are absolutely part of the wedding day, where are the relationships? 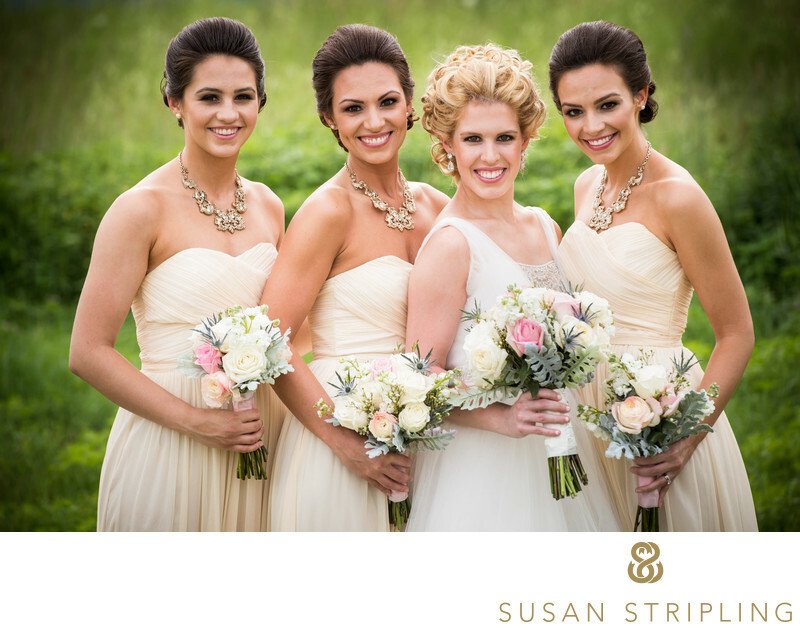 Save the images of the wedding couple together, and perhaps a few images of bridesmaids and groomsmen, it can be hard to find families represented in wedding photographer portfolios. As a wedding photographer in business who has to market photography to potential clients, I understand. Family formal portraits generally do look similar : lovely, well-dressed folks in a line, smiling at the camera. When you're trying to show off your best work to potential clients, these aren't the images that you might naturally be inclined to reach for. However, knowing how much my clients love their families, these images are among the most important that I take on a wedding day. While they might not be marketing gold, these are the images that people run back into burning houses to save. When was the last time someone ran back into a house aflame to save a shot of an engagement ring? What are family formal portraits? 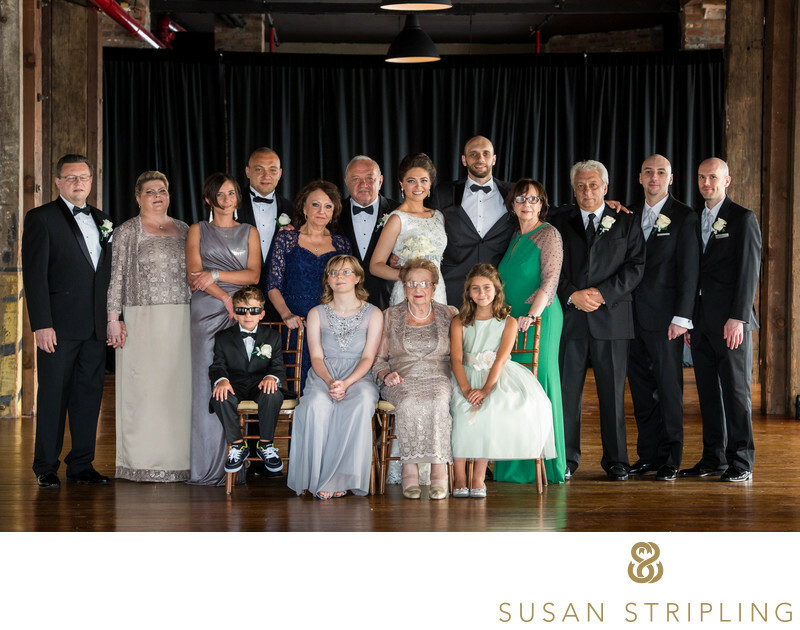 Simply put, family formals are formal pictures of your family. 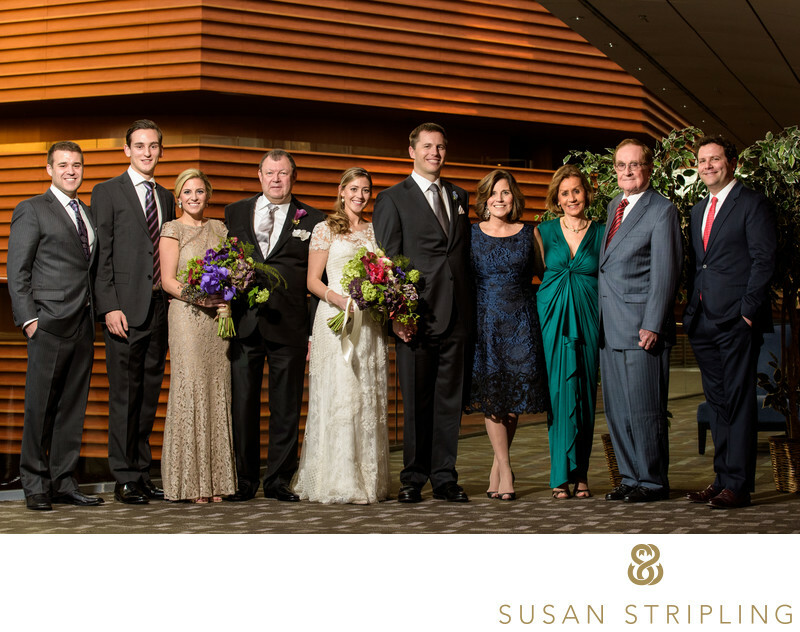 The examples on this page exemplify the types of family portraits that I take on an average everyday wedding day. Those words are wonderful, but they're descriptions of style. For example, I have a whole page on this website dedicated to explaining my particular style of wedding photography. These explanations can be super helpful when it comes to describing how a particular wedding photographer approaches the day itself. Are they hands off? Do they pose their clients a lot? Do they set up moments to look real, but they're really staged? The answers to these questions will help you understand how a particular wedding photographer documents a day, but it doesn't say anything about family portraits. Whether a wedding photographer is documentary in nature or more traditional, family portraits will always be a part of a wedding day's coverage. I can't think of a single photographer that I know, regardless of their "style", that doesn't take family portraits. It's so important that it transcends style! We want a documentary photographer and hate posing for pictures, do we really have to take these family portraits? I understand that family means different things to different people. I also understand that everyone has specific desires for the style and approach to their wedding photography. I truly do believe that taking a few moments to create some simple family portraits will be meaningful to all involved in the days, months, years, decades, and generations to come. I think it's worth carving out time on the wedding day to take these family portraits. I promise that if you hire me for your wedding photography that I will work with you on a timeline that makes this part of the day easy and efficient. While I do believe that these family portraits are important, I also believe that they shouldn't eat up too much of your day! No one wants to spend hours standing in a neat line and smiling directly at a photographer! 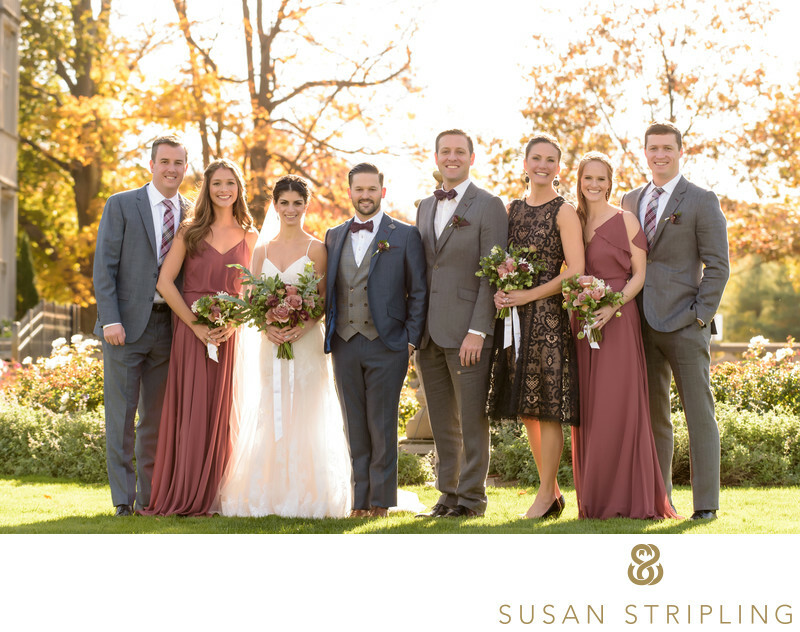 How do we know who to invite to the family portrait time on our wedding day? While I understand the logistics of arranging these family portraits might be complicated, I promise that I can help make it not so! I have a page here on this site dedicated to discussing family formals, and reading that is a great place to start when planning the timing of your day. Inviting more people and larger groups does add time to the family portrait part of the wedding day. I highly recommend making a list of crucial family groupings and emailing it to me. We can set up a time to chat, or continue corresponding via email, to make sure the lists are as efficient as possible. Based on the number of people you'd like to have for your family portraits, and how much time we have allotted for the creation of these images, we can work to make sure that everything is arranged as neatly and efficiently as possible. So you really think these images are important? I have seen family members look at images from weddings that happened generations ago, and they treasure these images beyond measure. I have looked at grandparents and great-grandparents wedding albums, and wonder who will be looking at my images in generations to come. I think about the possible children of the couple that just got married, wondering what it will feel like when humans that aren't even born yet are paging through albums that I created. Your family portrait images on your wedding day are for you, yes. They're for your parents, your grandparents, your siblings, and your extended family. They are also for you when family members are no longer with you. They are for the generations not even born yet. They are for the family you leave behind when you are no longer on this earth. I am not a terrifically zen-spiritual-namaste human, but I believe in the importance of family and legacy. I believe in family portraits, not just on wedding days. I believe that this is a tangible documentation that we leave behind when we are no longer here, a bit of visual history for family yet to come. So yes, I do think they're important! You can always reach out and contact me! I'd love to hear from you. It's important to me that I give all of my clients spectacular customer service, and answering your questions is important to that process. You can contact me any time, via email or phone. I welcome your questions, and I look forward to hearing from you soon!